It's been a sad week in my community. We lost our Chief of Police on Wednesday, killed in the line of duty. Our little town of just under 1800 has been devastated. I knew him personally and work with some of his adult children. 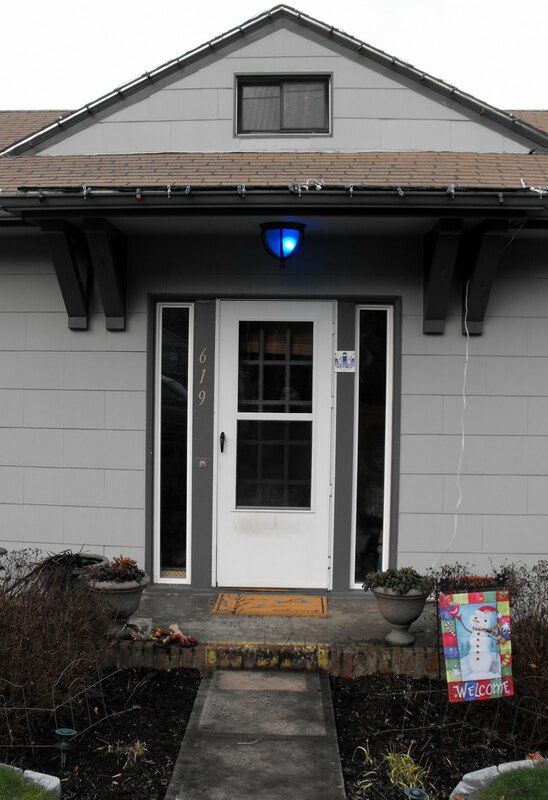 I put a blue light bulb on my front porch light to honor our officer down. When I ventured outside to do some January yard tidying, I was comforted by the simple action of digging in the dirt. It felt good to clean out the flower beds and notice the renewal of life as the crocuses are peeking up through the ground and my day-lily's are already sending up new baby shoots. 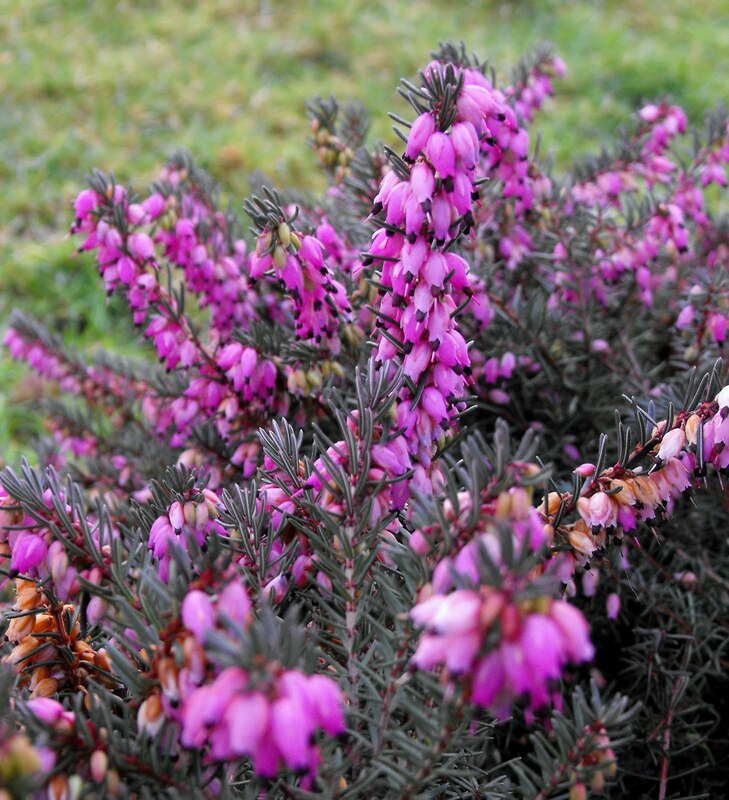 The winter heather is blooming and the candy tuft is beginning to bud. Even in the coldest, darkest time of year, there is life. 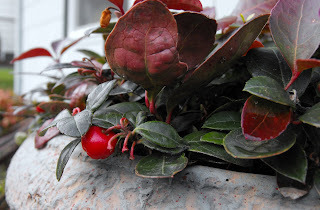 My front pots full of wintergreen display a wonderful contrast of green and red berries. It's been a challenge to balance my new job, my family and my hobbies. So I wasn't surprised to find the bulbs I purchased early last fall still sitting on my potting bench in the garage. My plan was to plant in mid-October. It didn't happen. I was surprised they has some shoots. I figured they'd be moldy and maybe mush. My garage is dry but it's not insulated. So, back out to the flower beds. I put them in the earth and they will have a chance. We'll see. Maybe I'll be surprised in a few weeks. It would be a welcome one. There is a lot of blooms in your garden! 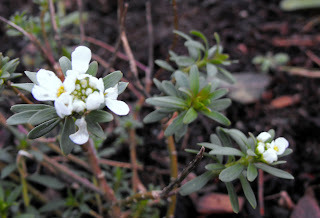 There is nothing yet in my place except the hellebores and primulas. I need to check my daylilies, since you said yours already show their green tops. I wish you the best in 2011! Thanks Tatyana ~ wishing you a wonderful 2011 too! What a sad story, I think I remember hearing something about it on the news here. It's amazing how therapeutic the garden can be. Isn't it exciting to see those signs of spring popping up? 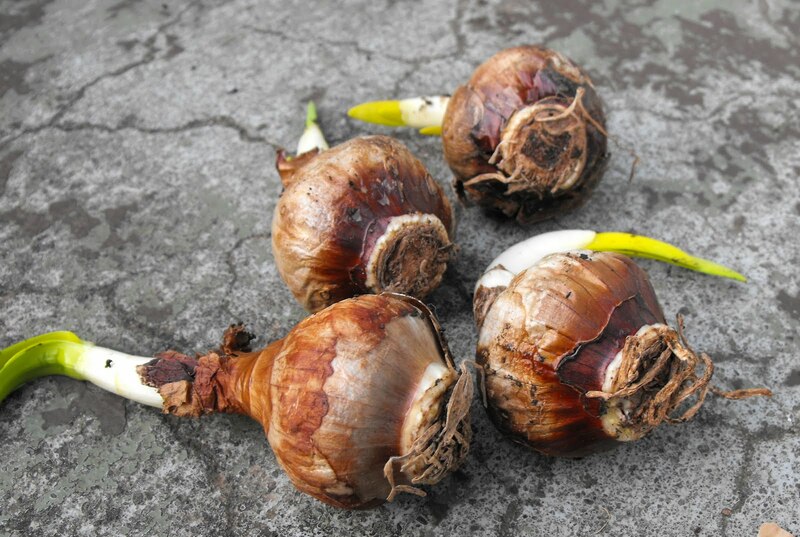 I hope your newly planted bulbs surprise you with flowers. Thank you Catherine, I hope those newly planted bulbs surprise me too! What a shame about your local sheriff. It is hard for small communities where everyone knows everyone to loose someone who has had such an impact in the community. Working in the garden is very therapeutic isn't it? 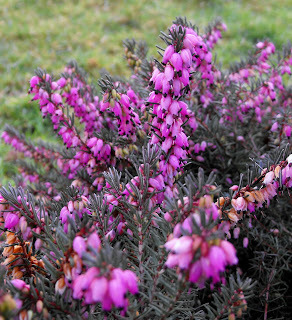 Your heather looks so pretty. I am sure your bulbs will do fine. Jenni, so sorry to hear the sad news about your towns police chief. Sending strong and supportive thoughts to you and your town. Hi Jenni~~ I know about the police chief from the news. TRAGIC. I guess the guy was high on meth. It is encouraging to see life in the garden though isn't it? Do you know about The Fling in Seattle? Planning to go? I'm thinking about it. Hi Grace, I've seen a couple of posts about the Seattle Fling and I'm thinking of going, it would be a blast! What is the fling? Would love to see you sphere. I meant to say up here. Silly auto correct on the iPad! 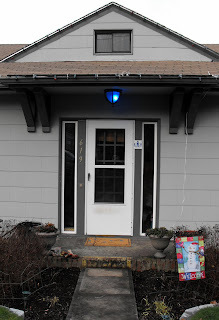 Thank you for the blue light. My husband is the Chief of Police in Deadwood, South Dakota. For 16 years I've worried if he will come home at the end of the day. I appreciate the honor you showed Ralph Painter. Bless you and I feel for your town and his family.